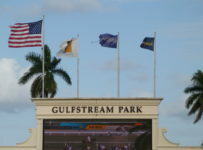 Gulfstream Park will resume live racing on Wednesday with an eight-race card and first post of 1:15 p.m.
All of the day’s races are scheduled for turf, except for the third and sixth. 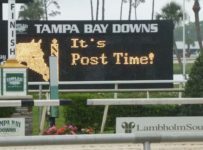 Conditions are listed as fast and firm. 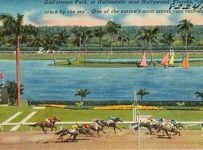 According to the Weather Channel, there is a zero percent chance of rain at the start of the race day and will rise to 50 percent by late afternoon in Hallandale Beach where Gulfstream is located. 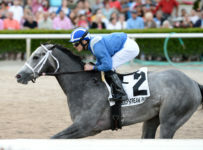 The feature seventh race is 7 ½ furlongs on turf for 3-year-olds and up. 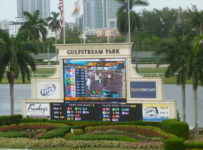 It is an allowance/optional claiming race with a $12,500 claiming price and a $37,000 purse. There are eight entrants. 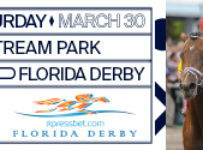 We will have a preview and race coverage on our blog. There will be a new pool on the Rainbow 6, on races three through eight. 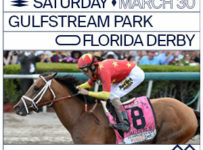 On Sunday, there was a single ticket with the winners of all six Rainbow 6 races. 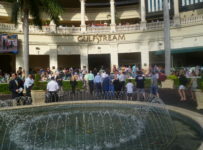 So Gulfstream paid out the full jackpot/carryover of $307,207.48. 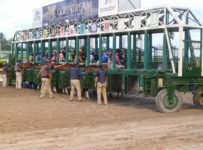 The Rainbow 6 is a 20-cent only per combination bet, with multiple horses allowed in each race. 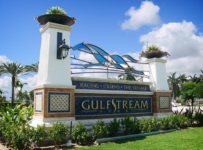 On days with multiple tickets with all six winners, Gulfstream takes out 20 percent of the new Rainbow 6 bets. 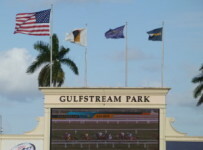 It divides 56 percent of the day’s bet among those tickets and adds 24 percent to the carryover. 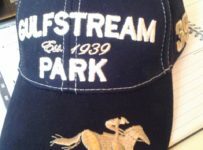 Gulfstream will have racing Wednesday through Sunday this week, with daily first post of 1:15 p.m. 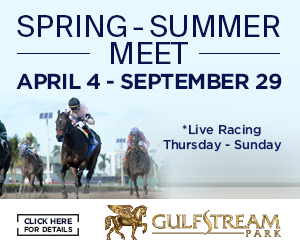 Starting Thursday June 16 it will change to a Thursday through Sunday schedule for the remainder of the track’s spring/summer meet that ends on Oct. 2.